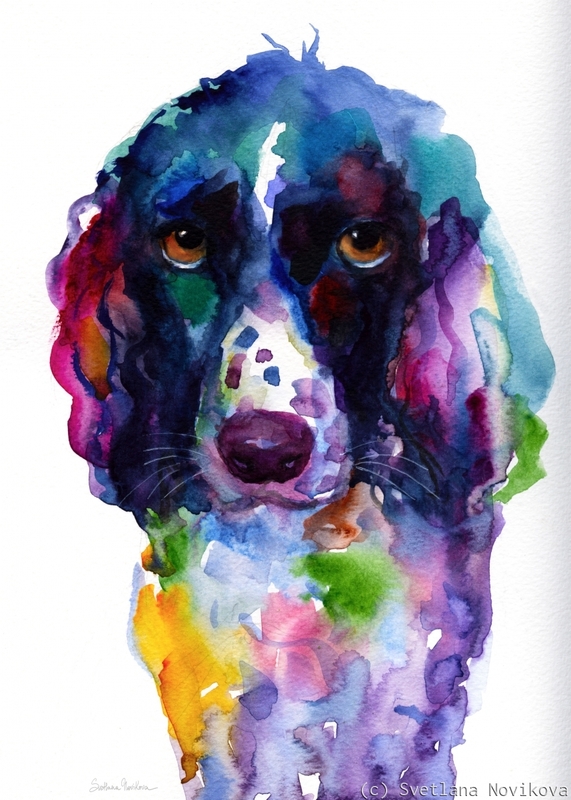 Vibrant whimsical watercolor painting of English Spring Spaniel dog by Svetlana Novikova, prints are available on paper and canvas, framed and matted. I am also available for custom painted Pet portraits from photos. Copyright Svetlana Novikova.